No surprise here. The most popular home improvement projects according to a Harvard study are kitchen and bathroom remodels. 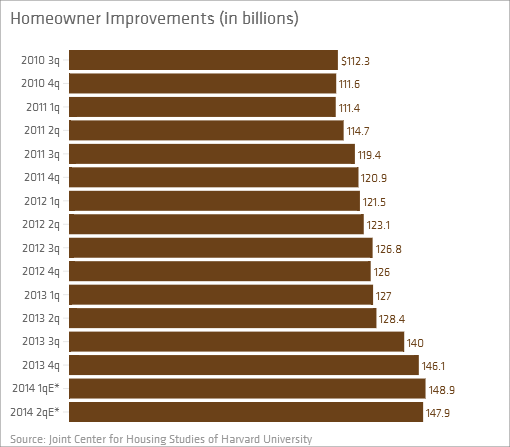 Home improvement spending saw a big bump in the second half of 2013 and is expected to remain strong at least through the first half of 2014.